Our core IT services encompass user devices and the servers and system backup services that support our applications. 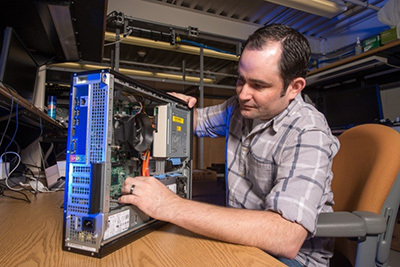 The Core Computing Division supports more than 700 virtual machines, which allows for the efficient, cost-effective deployment of many of the lab’s critical applications. We also provide website hosting for over 600 lab websites, server hosting, server backups, network storage and central authentication systems. We deploy and maintain multi-vendor database hosting for applications that our experiments and business operations depend on. 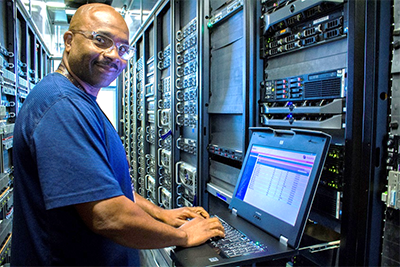 The Core Computing Division also provides and supports the lab’s computers, devices and software, including our engineering applications, and provides operating system support. We manage the patching, troubleshooting and configurations needed for all of the lab’s devices, which includes over 2,600 laptops and desktops. Finally, the Core Computing Division oversees the Service Desk and other contracted IT services such as printing services.